Get that on trend look with this super cute top girl. 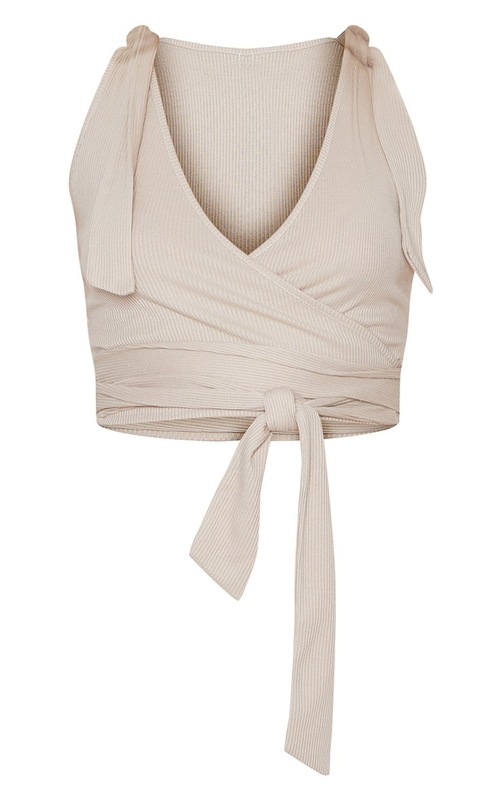 Featuring a stone ribbed material with a wrap detail and tie strap, this top is all kinds of goals. Team with white shorts and chunky sandals for that perfect summer lovin' look.